Over the years I have developed expert skills in the areas of recording and music production. Working out of my personal studio setup I perform and records percussive parts for national and international musicians and producers, sending and receiving material via file sharing carriers. The various percussive parts are recorded as wav files at 24bit / 48,000 Hz. The following are some selected excerpts from percussive sessions conducted for the rock band Powderfinger which featured on their last number one Aria charting album Golden Rule, from contemporary jazz vocalist Lisa Young featured on her album Grace and from my various personal production projects. Some of the excerpts presented here are percussion mixes from these recordings, as such they showcase the percussive work upfront. 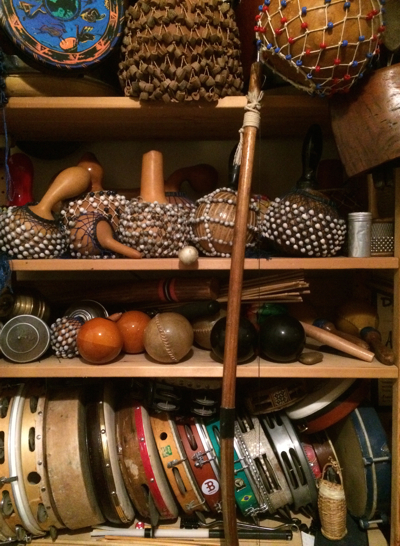 I have amassed a vast collection of eclectic percussion instruments from around the world gathered in over thirty-years of research and touring. I am also endorsed internationally by Meinl percussion, Zildjian cymbals, Remo heads and Vic Firth sticks and mallets and make use of a vast range of their first-class instruments. Please click here to discuss a recording project I may be able to contribute percussion parts to. Drums: congas (quinto, conga, tumba, super tumba), bongos, timbales, timbalitos, quinto cajon, bata (iya, itotele, okonkolo), tambora, cajon, repinique, surdo, bombo, timbal, snare drum, floor tom, rototoms, djembe, bongo cajon, talking drum, dumbek, dhol, geta bera, tammattama, tabla. 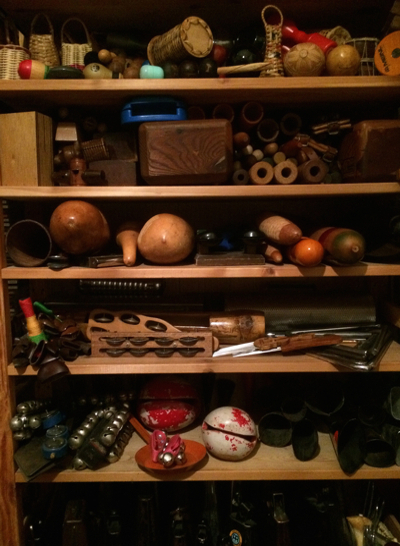 Rattles: maracas, shekeres, shakers, afoxe, cabasa, caxixi, palo de agua, cascajuellas, sleigh bells, bean shaker, axatse, sakara, swordstick, angklung, kokiriko, monkey drum. Scrappers: güiro, güicharo, güira, quijada, reco reco, washboard. Bells/Blocks: cowbells, claves, cuá, catá, agogo bells, wooden agogo, frigideira, cajita, triangle, tambourine, castanets, spoons, woodblocks, temple blocks, toy hammers, gankogui, log drum, slit drums. Percussive Effects: mark tree, key tree, bell tree, wind chimes, shell chimes, bamboo chimes, stone chimes, flexatone, slapstick, ratchet. Frame Drums: pandereta, tamborim, frame, pandeiro, kanjira, reque, mazhar, tar, duf, bendir, bodhran, rabana, uddaki. Gongs: wind gong, Chinese gongs, crotales, zodiac gong, resonating bells, Balinese gongs, singing bowls. Cymbals: splash cymbals, crash cymbals, ride cymbals, hand cymbals, hi-hats, finger cymbals. Tuned Percussion: glockenspiel, vibraphone, marimba, kalimba, karimba, nyunga nyunga mbira. Aerophone: samba whistle, bird whistles. Pots: clay pot, ibo, udu.